San Francisco Soft Story Retrofit Program in 3 Steps Hiring Building Professionals, Pt. 1: Do I Need an Architect? 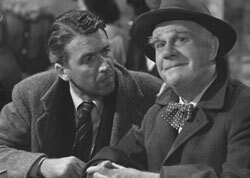 In the closing scene of the classic Capra film, “It’s a Wonderful Life,” George Bailey’s guardian angel, Clarence, gifts and inscribes his copy of The Adventures of Tom Sawyer to his depressed and troubled project with the words, “No man is a failure who has friends.” You may also recall the opening scene when Clarence is playfully chided by God for retaining his copy of the classic Twain novel in favor of something more appropriate for an aspiring angel, like, say, the Bible. I wonder if the authors and screenwriters of this great American story and film were trying to say something by this; perhaps that friendship is, or should be, even more fundamental to us as Americans than our particular brand of religion. This really would have been saying something back in 1946, a time when Americans on the whole attended church services more than twice as often as they do today. In 1946, America had just come home from World War II, a war in which, for the first time, Americans of all races came together to fight a common enemy — an ugly form of fascism that excluded minorities of all sorts. Young American men gave their lives on the battlefield for those fighting alongside them, regardless of the chapel they worshiped in or which side of the tracks they were from. They learned to be, as the Marine Corps motto suggests, Semper Fidelis (Always Faithful), and became trusted friends, willing to die for each other in battle. In my opinion, it was in this crucible that a more tolerant generation of Americans emerged — a generation whose children would lead the long overdue crusade for civil rights in America. Back to our movie. Knowing as we do that Clarence loved Tom Sawyer, he couldn’t have been unfamiliar with its sequel and counterpart, The Adventures of Huckleberry Finn. In this gem of American literature, Twain gently guides his reader along with his main characters, Huck and Jim, down a powerful river, masterfully exploring a moral dilemma that was as much then as it is now central to the American story — race. The story’s moral climax is reached when young Huck says that he would be willing to go to Hell before turning his runaway slave friend, Jim, into the authorities. Clarence knew exactly how to help a suicidal George Bailey from jumping into the icy river. I like to think that Clarence also knew exactly what he was doing when he connected Twain with the idea of friendship. Friendship is so universal a theme that it has the power to change the world, just as it changed the raft Huck and Jim floated on and just as it changed George Bailey’s outlook on life. So, is there significance to the fact that Clarence cheers up George with Twain instead of the Apostle Paul? They could have easily substituted the Bible for Tom Sawyer, and had Clarence inscribe for George Bailey something out of Corinthians, maybe something about charity, which is certainly connected to friendship. Or he could have inscribed the scripture from the Gospel of John that says, “Greater love hath no man than this, that a man lay down his life for his friends (John 15:13).” They could have tied a biblical passage into the movie’s theme just as seamlessly, but ultimately, in my opinion, chose not to for at least a couple reasons. First, Capra leaves out direct commentary on religion in his story of friendship just as Mark Twain leaves it out of his story of friendship because both understood that there are principles more fundamental to us as Americans than our varied forms of worship. “We are all in this together,” each says. “And we can all get a little bit crazy sometimes when it comes to our religion and what each of us thinks God is saying to us — so, let’s just calm down and get to something fundamental,” they encourage. Nothing, it seems, could have been quite so fundamental to either of these men as the power of friendship. In “It’s a Wonderful Life,” as in many of his other films, Capra puts a typical American full of failures and frustrations, even bouts of depression, in the spotlight, and shows us what it means to be a success. And, like all great works, there may be something beneath the surface of it that makes the lessons George learns from Clarence as applicable today as they have ever been.